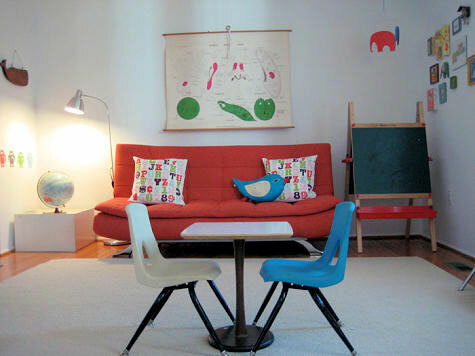 Looking for a post that was a picture of a playroom - green walls and sloped ceiling (maybe over a garage). It had shelving at the end wall w/ a tv nook and shorter cubby shelving on both other sides of room. Table in center of room. Can you send me the link w/ that post? Love the couch, where is it from? Me too! I to would love the link and know where you bot the green and blue storage bins?